Heavy rains and cold weather during the harvest. 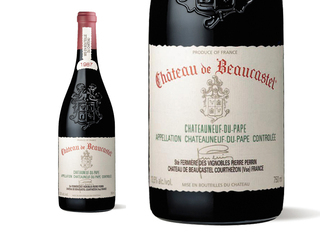 Château de Beaucastel has long been considered one of the great wines of France. It is unanimously renowned for its balance, elegance and ageing potential. Beaucastel has an extraordinary terroir at the Northern end of the appellation with big exposure to the heavy Mistral. All 13 varieties of the appellation have been organically grown here since the sixties. The nose reveals Truffles, Garrigue, olives and stone fruit. A lovely mouth with a fruity bouquet and a northern style. A lot of finesse.